My trusty patio–always a nice view to paint from my living room and always different. And my oregano is uncovered once again. I have now painted this view of my patio in January, February, April, July, and November. And what a beautiful day it was today! I can’t believe this is still January. It feels like spring! 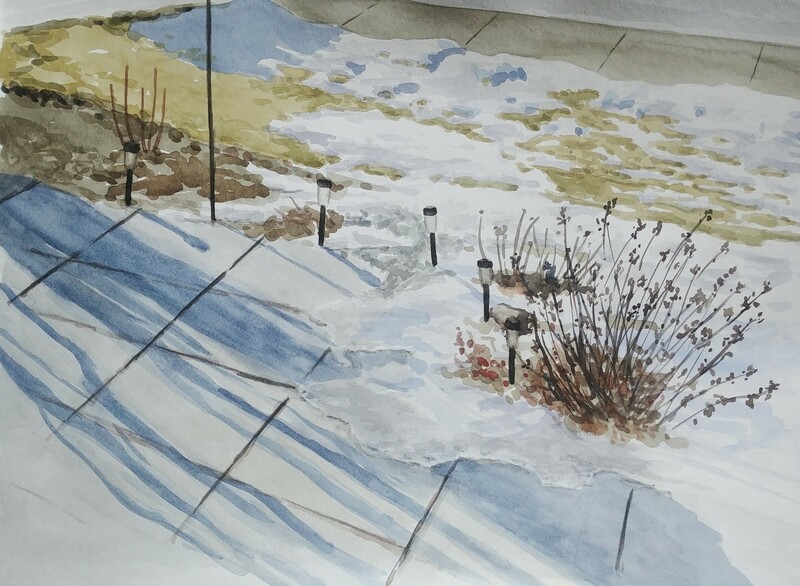 By the time I was done this painting most of the snow on the patio had melted. 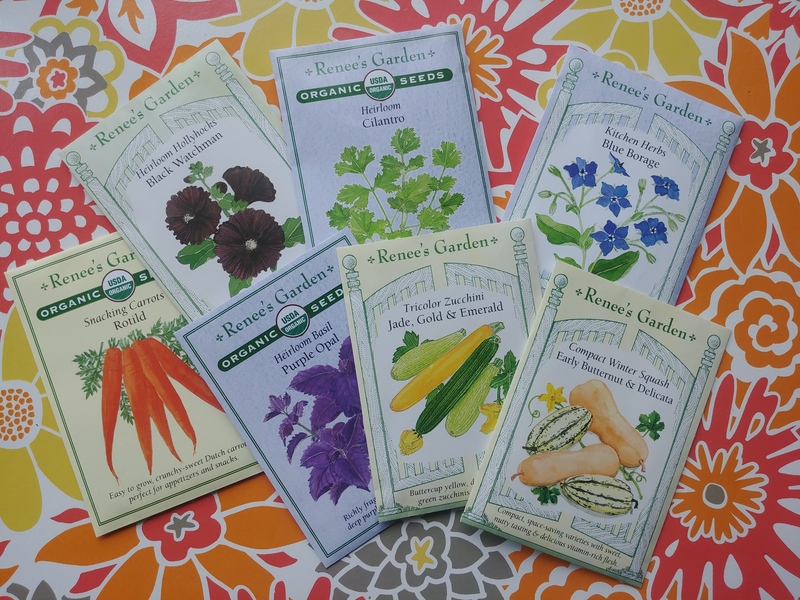 And then to top off the spring-like feeling, the seeds that I ordered for my garden just arrived! Don’t worry though, I don’t start planting seeds in my trays until the end of March–I have learned my lesson with starting too early. But I have been planning. I have all my yard projects for this summer planned out already. Though there’s still plenty of time to change my plans before then. In the meantime I will be documenting the snow on my patio.